Janelle Monáe (Photo: Cindy Ord/Getty Images for Lord & Taylor), Jenn Wasner of Wye Oak (Jim Bennett/WireImage via Getty Images), and Cardi B (Photo: Kevin Mazur/Getty Images for iHeartMedia). Graphic: Natalie Peeples. April promises another strong, diverse set of new releases to follow up an excellent March, with albums from favorites like Grouper, Wye Oak, and Flatbush Zombies as well as up-and-comers Saba, No Thank You, and Half Waif. 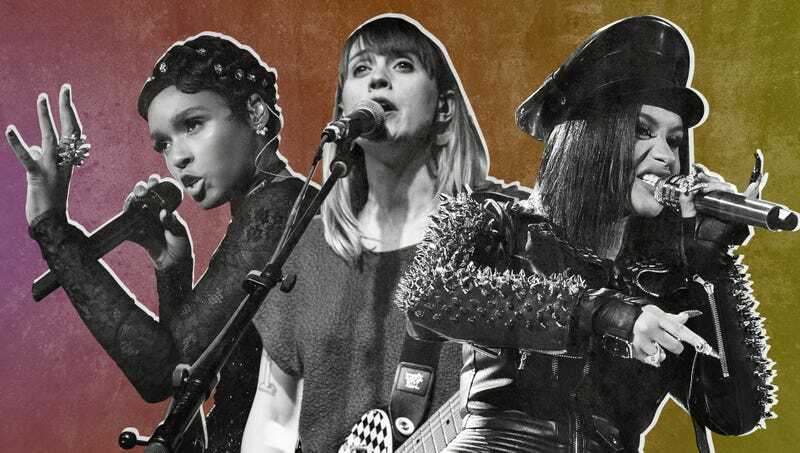 There’s also Janelle Monáe’s third full-length, Kali Uchis’ long-awaited debut, the latest from Twin Shadow, and more to look forward to this month.